SAN DIEGO, CA, November 29, 2017 /24-7PressRelease/ — Jackson Design and Remodeling (JDR) announced today that Design Department Manager and Senior Designer Tatiana Machado-Rosas has been selected as one of the “KBDN 50,” a selection of the country’s Top 50 design industry innovators by Kitchen and Bath Design News. The inaugural list featured in the October 2017 issue of the magazine honors design leaders whose creative talents, business acumen and vision are leading the way, creating new pathways for other design professionals to follow. Nominated by their peers and then carefully reviewed by the KBDN nominating committee, the 2017 Innovators reflect a true cross section of the kitchen and bath design industry. Tatiana was selected as a Designer Innovator for her leadership and dedication to mentoring upcoming designers, as well as her influence on design trends during two decades of professional growth. Born in Mexico City, Tatiana was greatly influenced by her European travels and acquired an appreciation for the architecture and design of different cultures, which today influences her creative aesthetic. 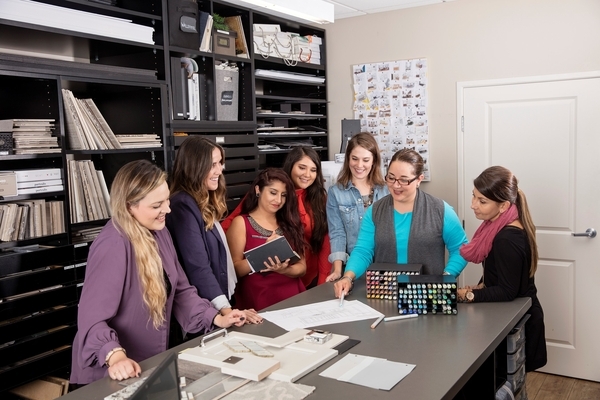 A graduate of the Design Institute of San Diego, Tatiana has served as Director of Professional Development and Programs of San Diego’s American Society of Interior Designers (ASID) and regularly mentors young designers. In 2017, Tatiana’s design won “Kitchen of the Year” from San Diego Home/Garden Lifestyles and was featured on the cover. In 2015, she won the Kitchen + Dining category in HGTV’s “Fresh Faces of Design” competition. One of her designs was named Best Kitchen in the Architectural Digest 2013 Before + After: Reader Kitchens contest. Tatiana has received numerous national and regional awards including ASID (American Society of Interior Designers) Awards, Chrysalis Awards, NARI (National Association of Remodeling Industry) CotY (Contractor of the Year) Awards, NKBA (National Kitchen and Bath Association) Awards, and Qualified Remodeler Master Design Awards. Her designs have been spotlighted in numerous media including HGTV.com, Better Homes and Gardens, Cottage White, San Diego Magazine, Qualified Remodeler, San Diego Home/Garden Lifestyles, Kitchens, Kitchen & Bath Design News, and Modern Luxury, among many others. The inaugural contest by Kitchen and Bath Design News highlights 50 top innovators whose work, creative talents, business acumen and professionalism are currently leading the way for the industry and elevating the kitchen and bath trade. The winners are nominated by their peers and then chosen by the KBDN nomination committee. Visit KitchenBathDesign.com for further details.